Hahei Green - quintessential family beach house. 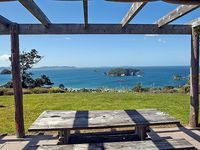 Property 44: Hahei Green - quintessential family beach house. Absolutely amazing place. 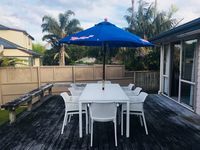 We stayed here for 4 days for our honeymoon and we thought why would you leave New Zealand. I don't think there is a better spot in Hahei, the most amazing views. Very peaceful spot and they had everything we needed. We hope to return in future.